AMBS Ecology & Heritage is seeking individuals with experience in botany who are enthusiastic about fieldwork. We are an established business with a growing portfolio of clients and projects in the ecological sector. Our work includes flora and fauna surveys, vegetation mapping, biodiversity monitoring, ecological impact assessments, Biodiversity Assessment Methodology (BAM) reports, and preparation and implementation of flora and fauna management plans. Most of our projects incorporate a fieldwork component and some of the work is seasonal. Our work is undertaken across NSW in a variety of landscapes, ranging from cleared paddocks and construction sites to dense bushland. 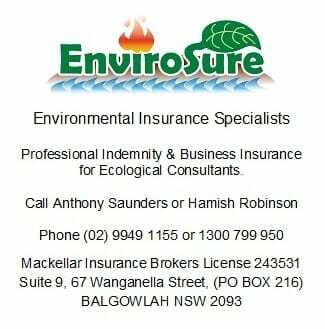 Our clients include environment managers, property managers, construction companies, mining companies, government agencies such as OEH, DotE, DPI and RMS, research agencies and local Councils. Criteria that are not essential, but will be well-regarded, include experience in the ecological consulting industry, a current Senior First Aid certificate, ability to drive a manual vehicle, experience using a 4WD in off-road environments, a “White Card”, experience in collecting data using the BAM or similar methodology, and/or experience in a related field such as bush regeneration. Due to the seasonal nature of the work, there are multiple positions available for individuals interested in casual work, and potentially full-time roles for suitable candidates. Applicants from throughout NSW will be considered as much of the survey work will not be Sydney-based. You must have the right to work in Australia to be considered for this role. If you wish to apply, please email your resume (including referees) and a brief cover letter to sharon@ambs.com.au. The cover letter should state whether you are interested in a casual or full-time role, or either. Enquiries about the position can be made to the same address or by calling 02 9518 4489. All applications and enquiries will be treated with the strictest of confidence. The ECA represents the interests of ecological consultants and strives to ensure that their private and government clients receive the most professional and efficient service possible. The ECA provides an effective contact point, resources, information and assistance for its members and interested parties.